The Warriors franchise celebrated their end of season with a live streamed Talk show style ,Gala dinner at the Tramways building in Nelson Mandela Bay on Wednesday 04 July, concluding a very courageous and hard fought 2017-2018 season. The Talk show style dinner was to acknowledge the excellent performances by the Warriors cricketers during the sea-son, while enabling warriors fans to better get to know the players and be apart of it from all corners of the world. Judge Pillay, Warriors Chairman said, “the past season was very successful for the Warriors in domestic cricket competitions in recent years, with the Warriors winning the Momentum One Day Cup trophy, sharing it with the Hollywoodbets Dolphins, qualifying for a semi–final spot in the RamSlam T20 competition; and exceeding expectations in the red ball competition from the bottom of the table last year to narrowly missing the top spot in the Sunfoil Series”. 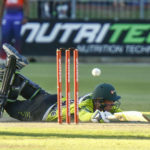 There were numerous individual prizes awarded with a substantial amount of cricket representatives and stellar performances, with insight into the Warriors season. 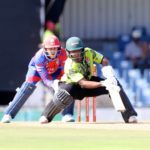 This past season, the Warriors recorded their best performances in the 4 day Sunfoil Series and Momentum One Day Cup. The star of the show on the night though was Captain Jon Jon Smuts who took player of the series for 50 overs and the Warriors Cricketer of the Year. 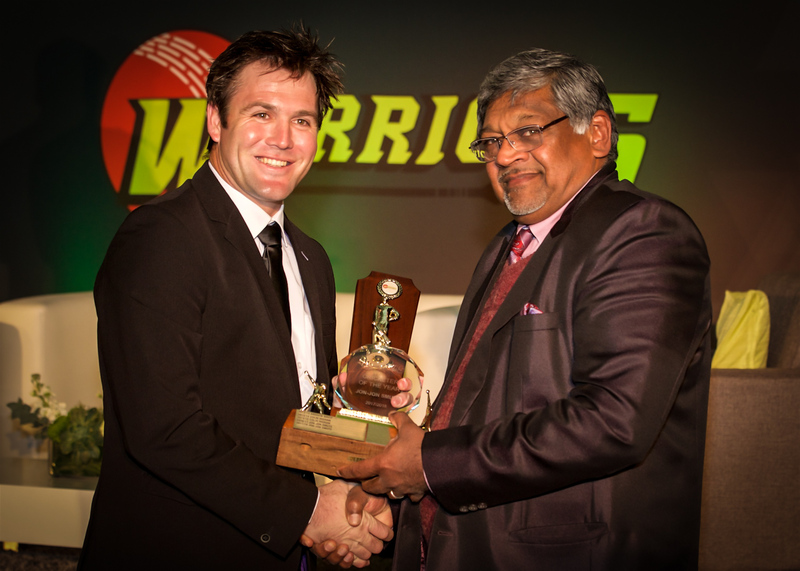 Simon Harmer was awarded the Warriors Sunfoil 4 day cricketer of the series and Bowling award. Christiaan Jonker was awarded the 20 overs batting award and player of the series. Anrich Nortje took home Most Promising Player of the Year, while Sisanda Magala received the Warriors 50 overs bowling award and Ghihan Cloete the 50 overs batting award. The trio will be representing the South Africa ‘A’ side as they tour India in August. The player highlights of the past season include Warriors captain, Jon Jon Smuts again being called up for the Standard Bank Proteas T20 side with Christiaan Jonker getting his first call up to the Proteas team. Matthew Breetzke representing SA at the Under 19 Cricket World Cup and receiving the Under 19 Cricketer of the Year Award at the 2018 Cricket South Afri-ca Awards. The younger generation of players like Lutho Sipamla and Matthew Breetzke were also called up into the Powerade National Academy program. Simon Harmer claimed the CSA award for Sunfoil Series Player of the Year – 2017/18 season and Warriors captain, Jon Jon Smuts was voted as South African Cricket Associations Most Valuable Player – 2017/18 season. Great performances during the past season awarded batsman, Gihahn Clo-ete and pace bowlers Sisanda Magala and Anrich Nortje a call up into the SA ‘A’ sides touring India later this year.